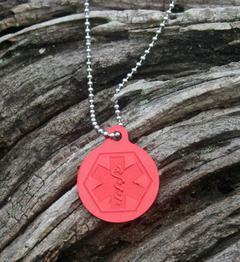 Our new medical alert medical id alert necklace is great for just about anyone! 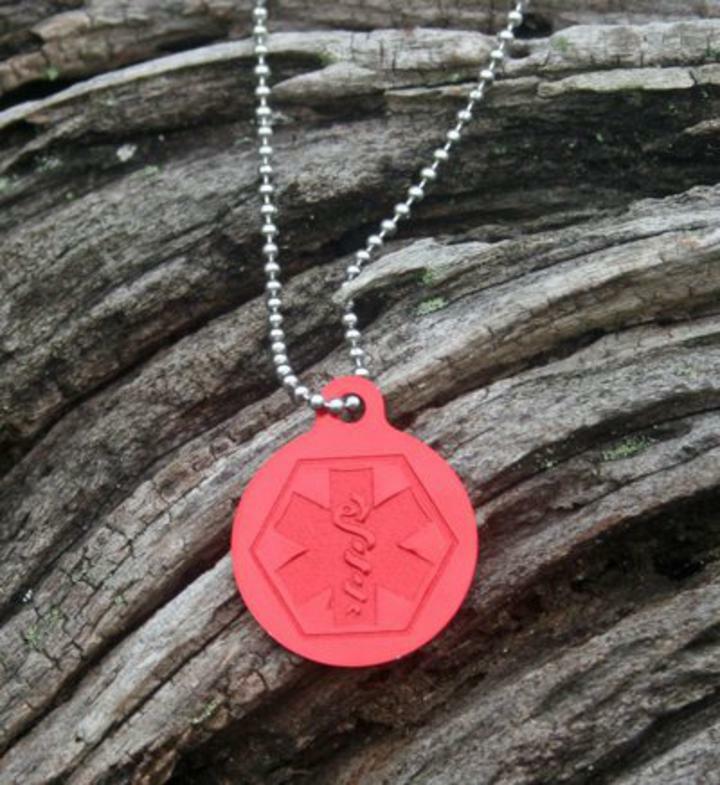 This medical alert necklace features the medical symbol on the front and comes with custom engraving with up to 5 lines on the back at no extra charge. The tag measures 1 1/2" x 1 1/4" and comes with a 30 inch stainless steel bead chain which you can easily cut to your size!